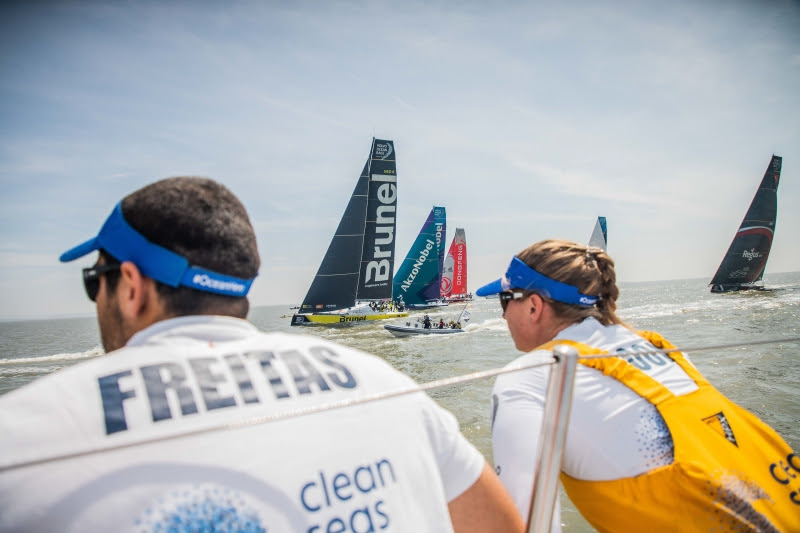 It’s getting tense now as we reach the stage in the Volvo Ocean Race where every single point counts. The top three teams in the race are heading into the final two legs separated by just three points on the race leaderboard. After racing over 40,000 nautical miles, Charles Caudrelier’s Dongfeng Race Team, the new overall race leader, is ahead of the Spanish MAPFRE team by just one point, with Team Brunel two points further back.